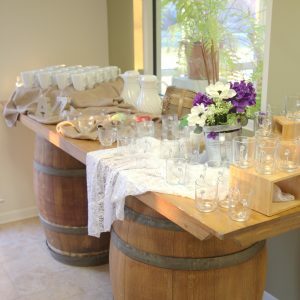 At A to Z Party Rental, we are always adding new inventory to keep your event design at its peak. 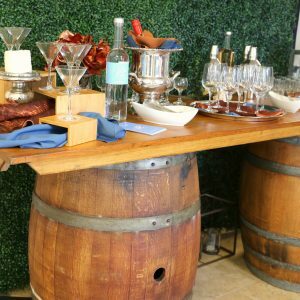 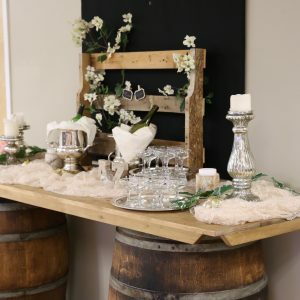 Our new Wine Barrel Bar is essential for your next rustic-chic event! 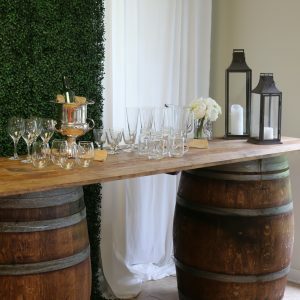 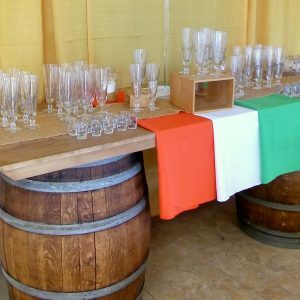 This 8-foot bar is made from vintage wine barrels and a rustic hand-crafted top. 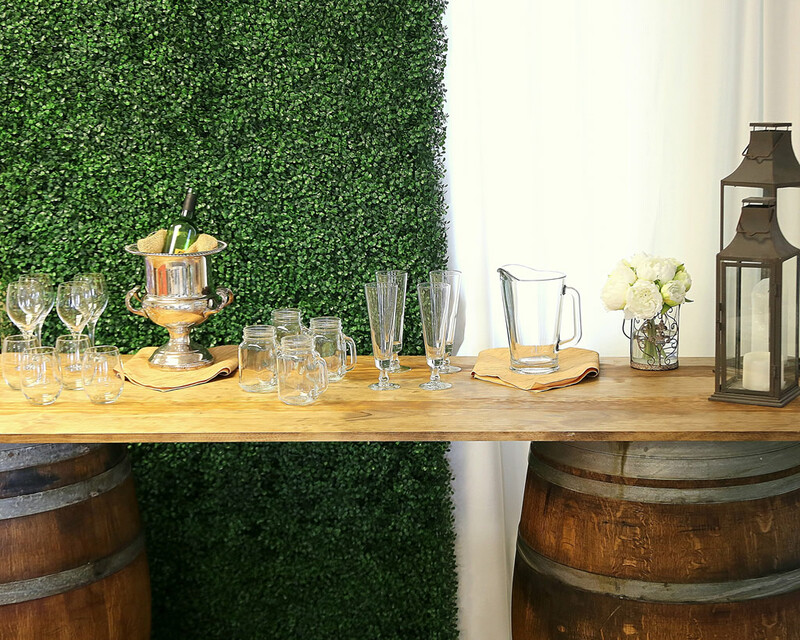 Great for serving drinks or as a buffet, either outside or indoors. 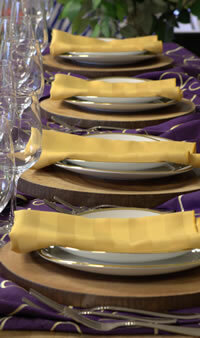 It will add a sophisticated charm that both you and your guests will love. 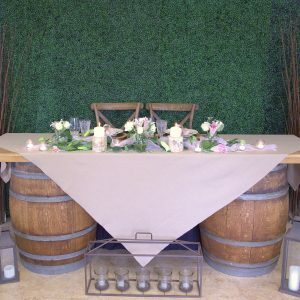 This bar looks great with a Boxwood Backdrop and tabletop design details to create the perfect blend of farmhouse charm and elegance!